How was everyone’s weekend?! I hope it was amazing. Can you believe that tomorrow is the first day of spring?! Do you have any plans? I can’t wait until the weather gets warmer to get some spring cleaning done. I have so many little tasks on my to-do list. It snowed again last week which was bittersweet and we're possibly getting more snow this Wednesday and Sunday. Not bittersweet because I’m going to miss the snow. I’m not, I love what it does for the environment though. But, because typically the spring and summer months typically fly by and before you know it. Back to the cold weather. *sigh*. I know, I’m thinking way too much into this… Anywho, this week I’m keeping it simple with our menu plan. I hope to try a new recipe on a whim. However, if that doesn’t happen. I hope to try a new recipe that following week. Tacos is on the menu for my family as well. I never plan out my meals, but I should probably start. It sounds like you are going to be eating good this week. I like how the mister takes over on the weekends. That usually means we are BBQing something on the grill around our house. Meal planning saves time and money. Yum, you have a good menu here. I need to get my husband to cook on weekends! Sometimes he will BBQ, but that's about it. We're having tacos this week as well! I want to have dinner at your house! 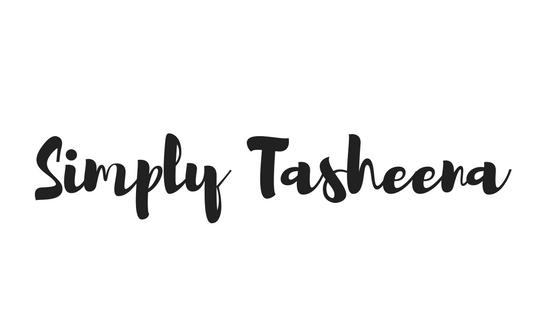 I always have a few meal ideas in mind but I want to start making a weekly plan. Fried fish is on my menu this week because I'm visiting my hometown and my brother just got back from his fishing cabin in FL and he caught flounder and sea bass. I'm so excited because he cooks fish perfectly. Looks like you're going to be having some great food this week. Since I'm heading to Disney World this weekend, my menu this week is going to be a little light (since I plan on pigging out at WDW!). I love doing menu planning. It saves me so much money and I can make meals that are healthy and delicious that my family loves. Taco Tuesday is always a fantastic idea! If only I were this organized with my week's menu planning. We always seem to go off course somehow. I try to menu plan, but there are weeks I just don't. Those are the weeks I feel lost at dinner time. Not having to figure something out makes things so much easier. The menu plan looks good. I really want to start planning my menu more in the next few months. It's always nice to have a plan when it comes to weekday dinners. Hold on. Does "The Mister" mean that your husband cooks? Because if so, that's awesome! We always have Taco Tuesday as well. So yummy! Oh my lands, I didn't even realize the first day of spring was here! That snuck up on me so fast. I know exactly what you mean. The cold weather is awesome but it's good to finally get a little warmth. I think this meal plan is great! I love planning my meals ahead of time! I hope you have a lovely week ahead! 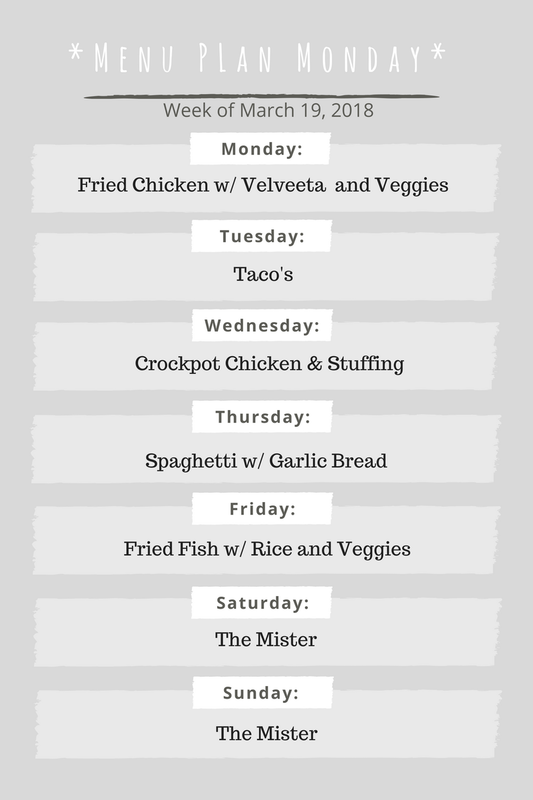 It's so nice to be able to create a meal plan that you can follow for the week. It saves you so much time and money! We don't do fish in our house but this a weekly plan I can totally work with. What is a mister? Thumbs up for this different menu plan that we can try. Yes, time flies really fast and I can't believe Spring time is here. Doesn't it make dinner time so much easier when you plan it out? I keep a running tab going in my head of the menu for the week and it takes some stress out of cooking every night. Wow, nice meal plan! I guess this is a reminder for me to set like this for me. Probably a good way to budget and see what should be the right meal every week too. Menu planning has helped us save money. I use my Instant Pot and my crockpots and try to cook a few meals at a time to save time also.